What is it about cold winter days that make me want to get creative and crafty? Maybe it’s the stir craziness of being cooped up, or can it be that moving around keeps me warm? Since we had an unexpected snow day today, I wanted to make something cozy and farmhouse-y. So, I rummaged through my craft closet to see what inspired me. And nothing says farmhouse style like some good, old fashioned Ticking Stripe. 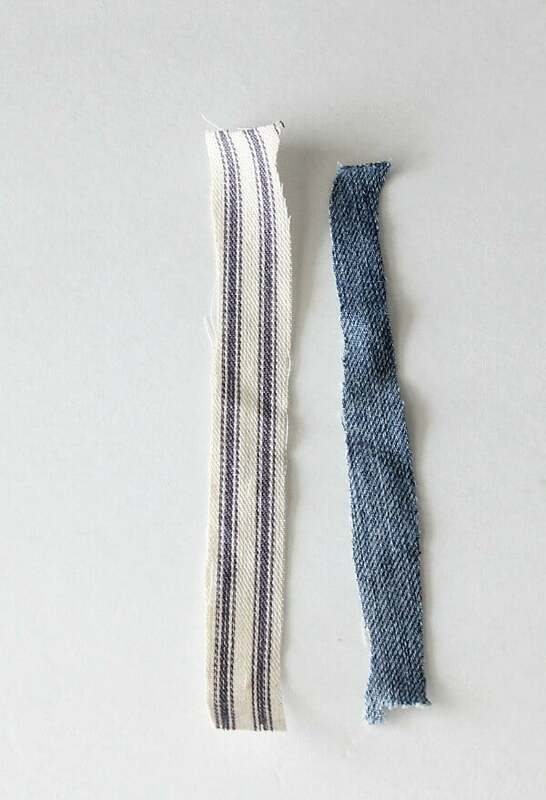 This classic blue and white striped fabric pairs so nicely with denim and I knew it would be a fun way to DIY something with it. 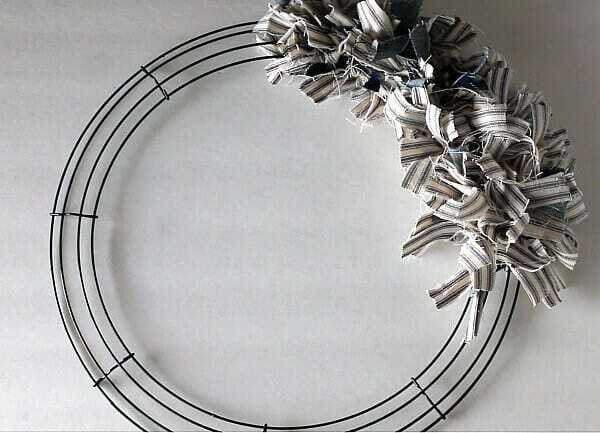 Today, I made my own Ticking Stripe Fabric Wreath and I do believe that it’s going to be a favorite of mine! Here’s how to make one for yourself. Affiliate links will be included for your convenience. You can read my full disclosure here. 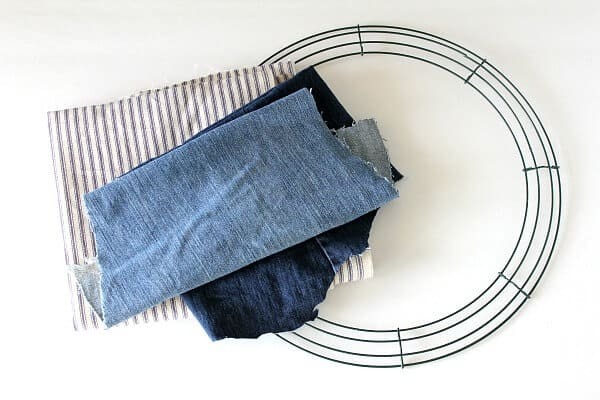 Denim Fabric – I used old blue jean scraps for mine. Cut all your fabric into 6 inch strips. Be prepared for your hand to get tired with all the cutting. In retrospect, I wish I had one of those cool rotary cutting sets. Since I didn’t, my scissors got a workout! I cut each strip to about 1/2 inch wide. 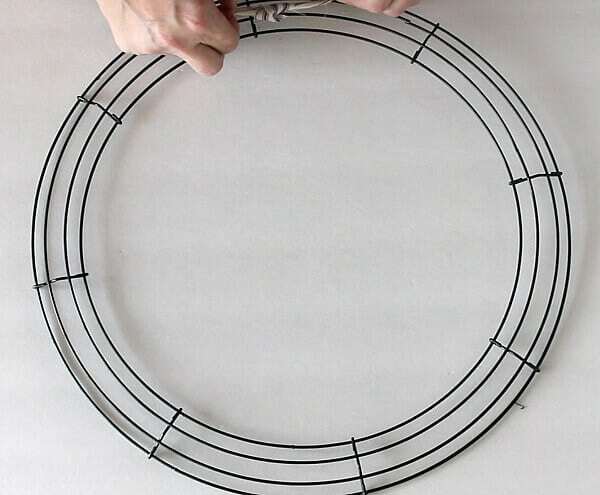 Next you tie your pieces to the wire wreath form. 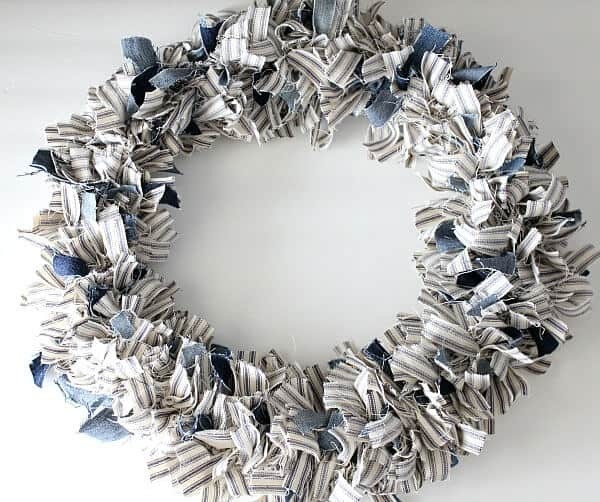 I wanted my wreath to be predominately the ticking stripe, so I scattered the pieces of denim here and there to add that pop of blue. I worked in sections, cutting and tying, in order to give my hand a rest. Once I finished the wreath, I added a few more pieces of denim here and there in spots that I thought needed a bit more. Oh, I just love how it looks on my DIY Barn Door, don’t you? 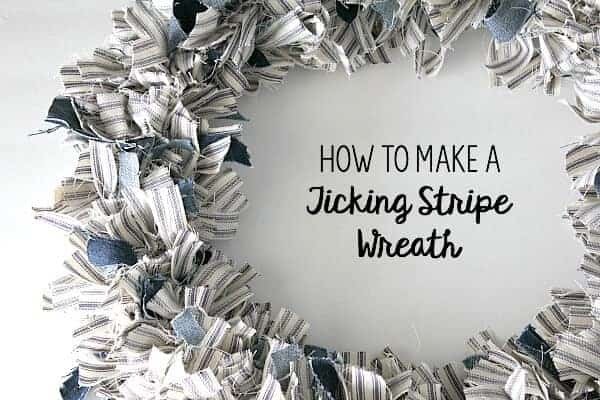 Since this was such an easy DIY, I could make a Ticking Stripe Fabric Wreath in all kinds of colors. This would be a great handmade gift to give as well! 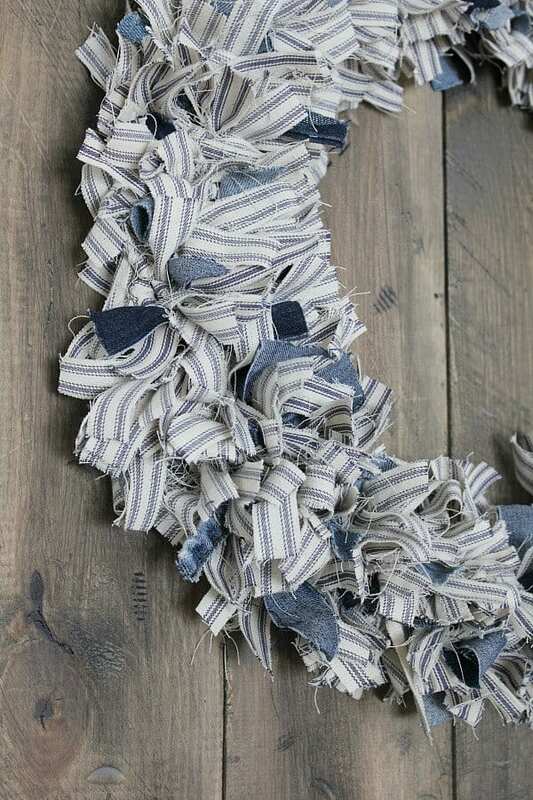 The little pieces of denim popping through add such whimsy, don’t you think? So give er a try! You just might find yourself loving your creation as much as I do! Share this video and subscribe to my YouTube Channel! Very cute! And a great way to use up fabric scraps. Visiting from Thrifty Thursday party. Very cute! Americana, french country, nautical beach house…. it can work among many settings. Jen this wreath to me is perfection. I love using up strips of fabric. I always have too many left over. But the colors in your wreath are my favorite. I may have to give this a try! Pinning!! And in many different colors too! Thank you so much for taking the time to leave me such a sweet comment! I try appreciate it! Thank you so much Mary! It was fun DIY To try! Love linking up – thanks for hosting Victoria! Love that fabric on this wreath. Nice one! Thanks for sharing at our link party! I have seen these cute wreaths pop up all over the internet.. Yours is my favorite with the ticking! I love the homey, farmhouse look of it and I happen to have a ton of blue and white ticking. Looks fabulous on your barn door. Don’t be mad at me…..I found a gorgeous red and pink scrap wreath in the form of a heart at Goodwill for $2.99. It’s going on my front door soon! That’s a steal! And thank you so much for your sweet words! I appreciate you taking the time to leave me a comment! 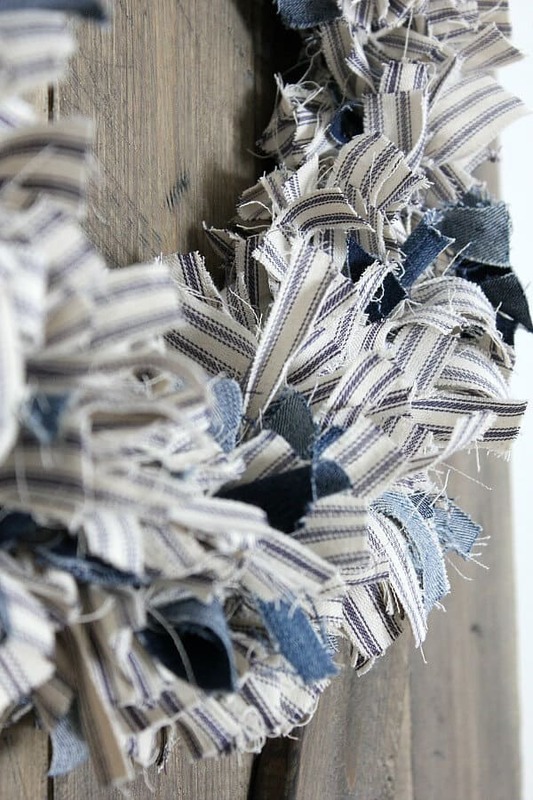 It’s really pretty, and a great way to recycle fabrics. Thank you for sharing at The Really Crafty link Party this week. Pinned! That’s beautiful and you made it look so easy to do! 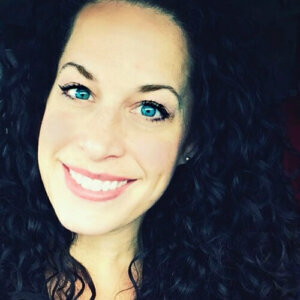 I’d love for you to share over at a new party called Let’s Party https://themarkandjanshow.com/2018/01/02/lets-party-5/… look forward to seeing you there! SO cute. Quick question. 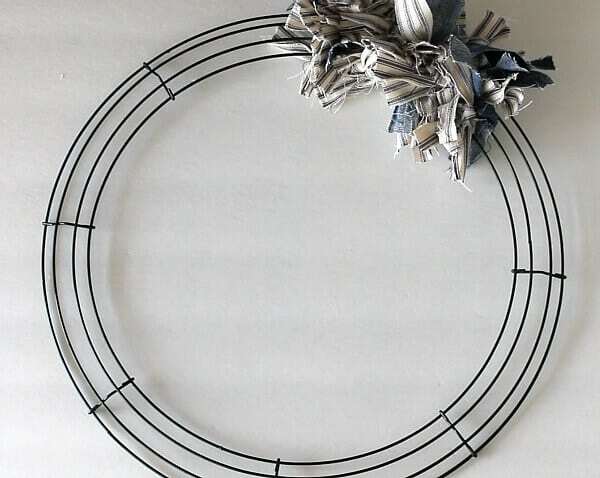 Did you tie each piece to the center wire or all of the wires on the wreath? It looks nice and full but I wanted to try it and mine look as good as yours! Just stop by from Friday Friends Parade LP to let you know I am just smitten with your wreath tutorial. My affinity for ticking prints and wreaths means I just had to pin this to my board for my next crafting project. Thanks for sharing! I’m honored this inspired you! Share a pic if you make one! Enjoy your weekend! Thank you so much Cindy! I tied each ribbon to one single wire – and repeated the process for all four wires. It was a tie, scrunch it down, tie, scrunch it down method. I did take a coffee break halfway through to let my fingers rest. Thank you ladies, so much for inviting me to join in on your first Linky Party! So many good posts to check out and be inspired! Have a wonderful weekend! Thank you Teresa! I love how easy this was, too! Thanks Jan! I loved linking up – I appreciate the invite! Your wreath turned out so cute. It shows up nicely against the barn door. Our readers love seeing lovely projects. Your totally deserved the feature. Happy to hear being featured made you smile. Thank you so much Kathryn! I am so honored to be featured! Thank you so much Linda! Always love linking up! Jen, I adore the ticking and denim combo and your wreath looks amazing. Thank you for linking up at Create, Bake, Grow and Gather this week. I’m delighted to be pinning and featuring this project at today’s party. I just spent weeks going thru all my fabric to organize it and have better idea what I have. Then today was looking for something else and found more fabric in an Iris drawer tower tucked in corner of sewing room. Might not use blue ticking but will be using something have plenty of. Have wreath form already also. Will be good project to work on while watching favorite tv shows. We don’t live close to a fabric store so I usually like to use what I have to try an idea out first. Then if it works out well for me, and this should, make at least one more or for a gift. 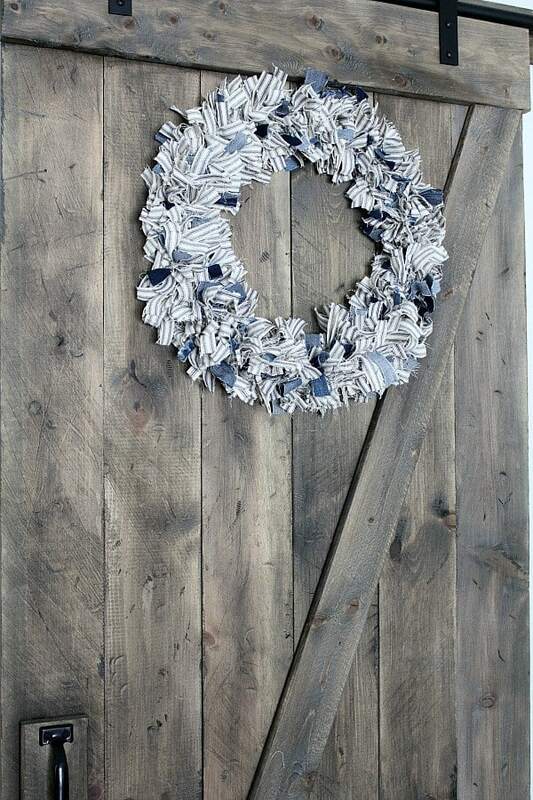 Your wreath is so cute,love the blue ticking and some denim interspersed among ticking, sure says farmhouse. How long did it take you to make? Have great weekend and enjoy your new wreath. Hooray for fabric scraps! 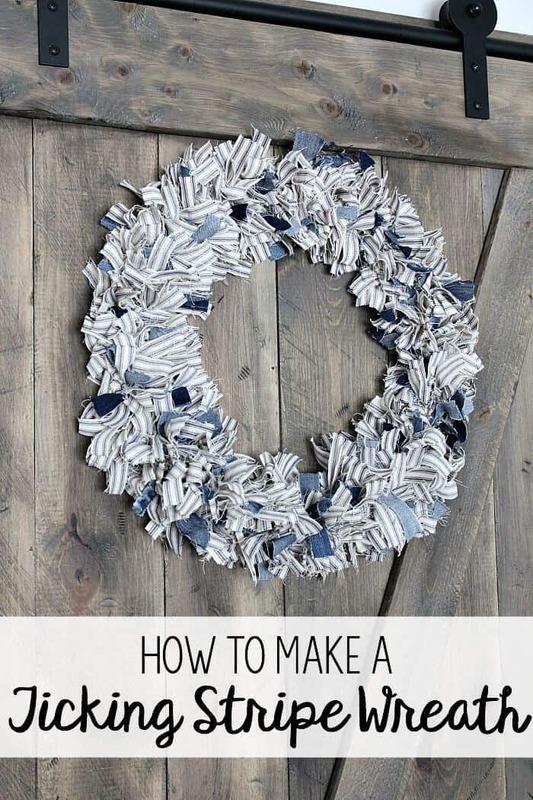 This is such an easy wreath to make! I would say it took me at the most 2 hours to complete. Cutting the fabric was the most time consuming. I did one hour one day and finished it up the next day in about 30 minutes. Share a pic of your finished product with me! I’d love to see it! Thank you so much for sharing my post, Emily! Happy New year to you as well!